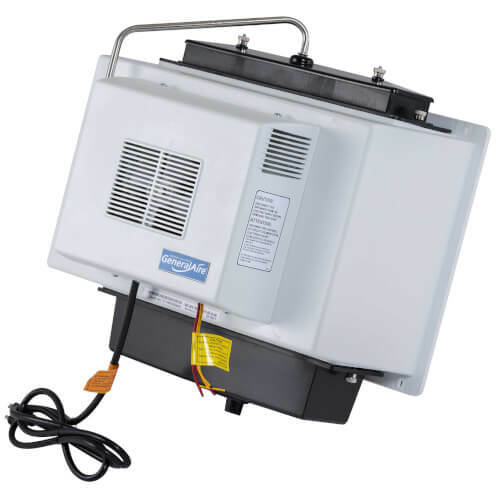 The General Aire 1137 is a 21.3 GPD drain type fan power humidifier for warm air plenum installations. Built-in isolation relay feature provides 24v secondary voltage for control of fan motor. Solenoid valve and humidistat included. The 1137 also includes 120 volt power cord, 15 feet of 5/8" dia. drain hose, saddle valve, and solenoid valve.